The decision to launch your brand internationally isn’t one to take with a grain of salt. It will be a make-or-break decision for your brand –– a money pit or the source of 10X revenue. Cross border commerce, then, be fully assessed and validated before initiating. The #1 thing you want to know is this: which market should I go into first? Leveraging analytics, data and market insights will ensure that you are reducing your exposure to failure and risk –– and where your exposure is reduced is where you want to first launch. You are looking for the least amount of risk for the highest amount of reward. Moreover, it is imperative to set a direction, adhere to a plan of action and remain open to change as you journey through new markets. Here is a walkthrough to help you do just that. In a world with room for little error, decision-making should be anything but unintentional. Sure, you may think that you have a good idea of how you want to expand, where you are going to do it and have a gut feeling it will work. But the numbers may prove you wrong –– and it’s important you listen to them. The answers and insights you need to make a well-informed decision about where to go next are relatively easy to find in these reports. Where is web traffic coming from? How did I acquire that audience? What is that audience saying about my product? To do this, you will need access to Google Analytics, preferably with 4 to 6 months of data coming in from your existing domestic website. Additionally, Brand24 is a great tool that enables merchants to discover the online sentiment consumers have in regards to their brand –– and see it as it unfolds in real time. 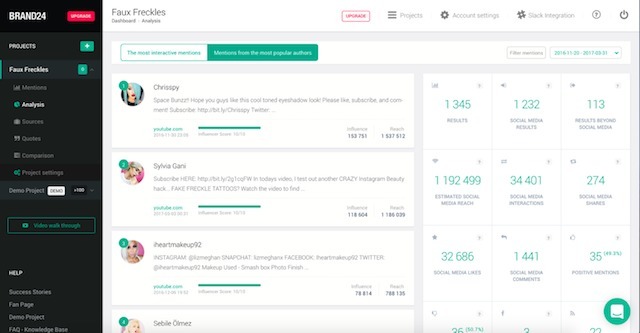 This gives you instant access to brand mentions across the web, from social networks to influential publishers. 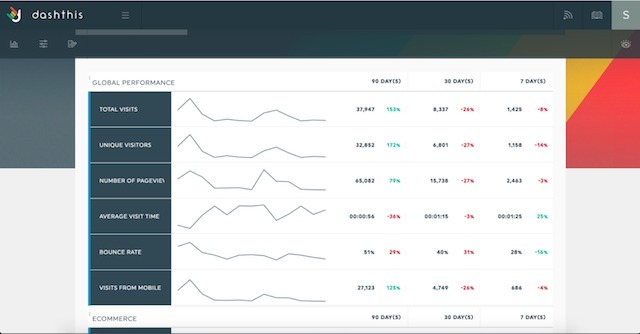 For those that need a more visually appealing data dashboard, DashThis is a good alternative to Google Analytics. DashThis does still require that you have Google Analytics installed on your website; however, it provides a more visually appealing representation of data in 7, 30, 60, and 90 day increments. For brands using BigCommerce, your BigCommerce Ecommerce Analytics are incredibly helpful here as well. You can see where your traffic is coming from, and furthermore, which segments of traffic are producing the most revenue. You can also export a list of your customers and filter them out based on country of origin. Now, let’s walk through these 3 essential questions. When analyzing data through this lens, keep in mind that not all traffic is good traffic. Give top level metrics such as Average Session Duration and Bounce Rate as much, if not more, weight than just Sessions. This is because you want to identify audiences that do not just visit your existing site but engage with it! This is a great place to use your BigCommerce Ecommerce Analytics as well. Look through not just the highest traffic source numbers by country, but which countries are producing the most revenue –– even if traffic numbers are relatively low. As you roll-out globally, it is important to discover which channels in the localized market are driving the most traffic to your current site. 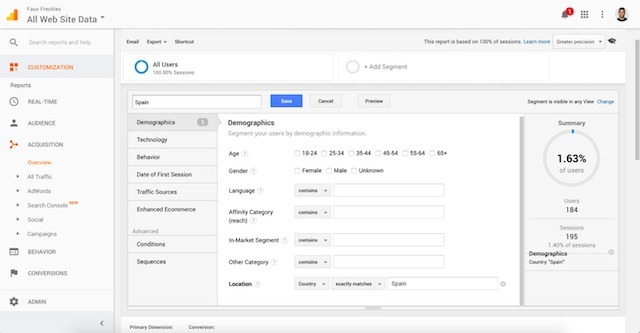 Using Google Analytics, you can easily identify these segments by leveraging the Acquisitions Panel and creating a country-specific segment using Custom Segments. 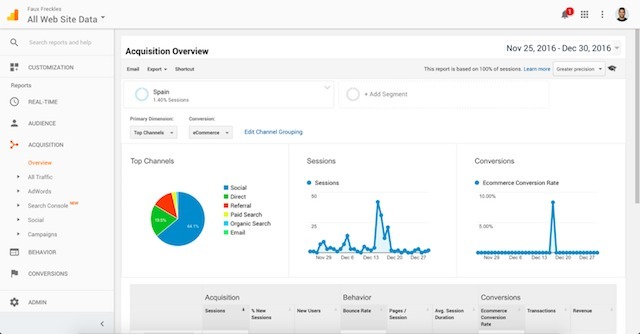 Once completed, you will have a segmented view of how you acquire web traffic in a specific country. Ideally, when evaluating whether cross-border commerce is a viable solution, you want to see at least a 70/30 split of domestic to international traffic with your current website. Moreover, you want to see this statistic continuously maintained over an adequate amount of time before considering opening trade lanes in new markets. This insight is certainly nice to have, but also an important one to seek out. Sure, you can use Google to search news and Social Media to gauge general interest. However, if possible, leverage tools like Brand24 to quickly aggregate sentiment globally. Positive Sentiment – The number results/threads with potentially positive sentiment. Negative Sentiment – The number results/threads with potentially negative sentiment. This gives merchants first-access to how their brand and products are being talked about in a potential market, before even selling there. Influencer marketing is an increasingly attractive way to gain ground in both domestic and international markets. Getting a feel for the current social climate in a new region is essential to understand who you appeal to, who you don’t and how you might change those sentiments for the better (and viral). Cross-border commerce comes with a lot of noise and it is easy for any merchant to get lost in translation. When assessing where to go first, make it a priority to put yourself in favorable situations by understanding which markets prefer to shop across borders. In a survey conducted by Pitney Bowes, they found that 66% of respondents said they shop cross border, with 58% saying they do so monthly. A smaller portion (8%) said they shop with international retailers every day or every week, but in certain key markets (China, Australia, Singapore and Canada), cross-border shopping is now a part of everyday life. Align your cross-border commerce efforts with those markets which are already accustomed to international shopping. This means China, Australia, Singapore and Canada should be top on your list –– unless your brand-specific data says otherwise. This not only reduces barrier to entry, it positions the brand to capitalize on a market that has already shown significant increases in adoption when it comes to cross-border commerce. You have data. You have a better understanding of your international consumer. Now it’s time to put your in-market scouting report together. By now, you understand the global hotspots that have an affinity for your brand, validated by current website statistics via Google Analytics. Additionally, you have better positioned yourself by determining which markets have already begun to adopt cross-border commerce. The next step in better understanding potential markets is to understand how and where your international audience shops online. For example, you want to understand the ratio of consumers that shop in-country marketplaces versus localized websites. Ultimately, for both product discovery and shopping, you want to provide consumers a blend of both marketplace visibility and localized website checkout. Similar to the U.S. market, where many consumers expect to see brands on both Amazon and their own webstore, doing similar work internationally helps to build brand trust. In some countries, it is expected that brands have a presence on TMall and their own website, or on eBay but not Amazon. It varies country by country –– and it’s important that you identify the various sales channels and touch points that drive increased trust early on. To do that, get yourself to that country and ask around. Work with local firms to gather feedback. Know one thing: you cannot go into a new market using the same strategy you did to dominate in your home country. All 9 factors are critical in achieving cross border success, not just holistically, but for every market that your brand chooses to invest in. This scouting report should be completed by-market and revisited quarterly as new technology advancements are changing the landscape of how emerging market consumers engage merchants and their products. No matter where you decide to take your brand, to be successful cross-border you must understand the markets that you want to penetrate. This takes in-depth research and strategy, using the tools and utilities you already use to understand where best to go first. There is nothing preventing your brand from selling globally, but there are bottlenecks and obstacles that come with opportunity. Having a firm understanding of where you want to go and a strategy to get you there will enable or prevent your brand from achieving success.